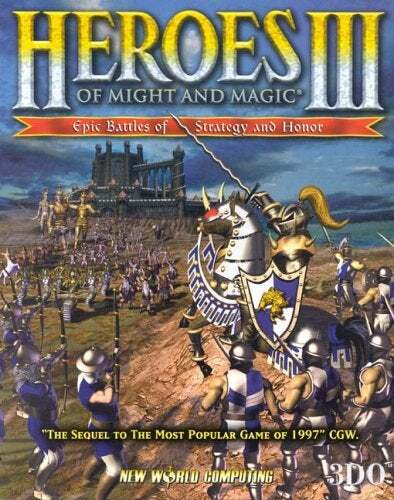 Heroes of Might and Magic 3 (referred to colloquially as Heroes 3) released in 1999 following two entries I played obsessively alongside early PC classics such as Civilization, Warcraft, and Diablo. 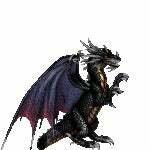 Developed by 3DO, the Heroes series brilliantly combined turn based strategy and resource management with awesome fantasy creatures and a plethora of playable scenarios and campaigns. The quality and depth of the games and the beautiful sound and art design made its replayability vast. The series pinnacle is Heroes 3 - I have sunk hundreds of hours into the game and still not played all the levels over the last two decades. It is the game I return to more than any other, and the game I most often wonder to myself: where did this series and this style of game go? The series did officially continue past 3, the most recent entry coming out in 2015, but after Heroes 4 (released 2002) 3DO was sold to Ubisoft and the series changed, in my opinion, for the worse. New devs came in, the lore was forgotten, and the graphics and art went from 2D to 3D. Heroes didn’t really fit into that era of improving graphics - 3D made the map hard to see, the graphics felt clunky, the grid battles felt slower and at odd angles, the games went from being a fun and relaxing challenge to a boring slog with the release of Heroes 5 under Ubisoft and it never improved with any of the following installments. Faction towns in Heroes 3 where you recruit your fantasy armies. In Heroes of Might and Magic you control heroes that hold armies of units you recruit in towns. The towns get built up with gold and resources you find around the map: mines producing resources every turn and general resources and treasure you find for a one time increase. Heroes 3 introduced underground tunnels and significantly built upon the existing framework of the series. 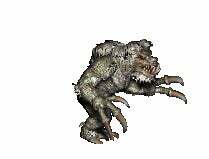 The Heroes 3 base game has 6 factions, each with 7 units that can each be upgraded making a total of 84 unique creatures - not including neutral ones that can be found on the world map and not including all the extra creatures introduced in both of its incredible expansions. It’s rare to see so much variety of units in a strategy game, even today (just to compare, Civ 2, while it came out a couple years earlier, had 52 unique units). I love everything about the game - when I think “just one more turn...” I think Heroes of Might and Magic 3. Making a stack of Vampire Lords and watching them revive on attacks, casting Chain Lightning (one of dozens of spells), watching as my Marksmen are slaughtered first every battle. I love how the fog of war disappears, finding cool artifacts (there’s a massive amount of items you can equip onto your heroes), listening to the relaxing music, leveling up my heroes until they are ridiculously overpowered, etc. I loooooove the sound the Skeletons make when they walk. Each time I play the same question always comes to mind....can a game like this make a comeback? With modernized 2D graphics and a great indie developer there could be a Heroes-like game released to massive success - so why hasn’t it happened? The style of the game is perfect for the indie world - the graphics are simple and more focused on art, the game balance is more about fun variety and less about number crunching complexity. 2D has made a huge comeback and indie developers are revitalizing classic genres with brilliant mindblowing games (Cuphead, Hollow Knight, Braid, FTL) and every time I play one of these games I can’t help but think - where is the new game in the vein of Heroes? What could a solid dev team do? How many hundreds of unique units? Dozens of playable factions? Hundreds of maps? Every year I hope it will happen, and I’ll continue hoping until one day it does. The primary view of Heroes 3 where you move your hero (in this image, Catherine) around the map seeking treasure and battle! Anyone else have any types of games they’re surprised haven’t made a comeback? Any other Heroes fans out there wondering the same thing as me?